Remember the cherry fabric? When I bought it I thought it was going to be delicious to craft from it. And it was. Today, since I had a few free hours (such joy:), I started creating my own pattern for a vest. Remember the Vogue picture? Well, like that, but with cherries. Sweet and of course, very cool. At least that’s what I thought. 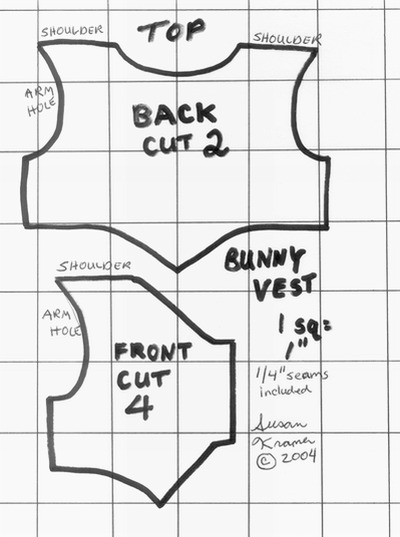 I built up my courage and actually what convinced me to try it was this pattern for a bunny vest. I was afraid that the pattern was going to look like shishkebab, but amazingly the pattern is pretty cool. Except the hands wholes, that are too big for my figure. And if you think I was joking, beware the piping! Well, there you have it. Cool or kitsch?